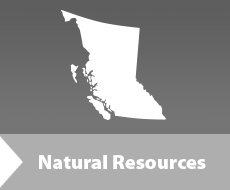 FortisBC (Proponent) is proposing to expand a portion of its existing Vancouver Island natural gas transmission system (proposed Project). The Project would involve installing about 55 km of 24” natural gas pipeline starting about 35 km north of Coquitlam to the Woodfibre industrial site outside of Squamish, upgrading two of the Proponent’s existing compressor stations and building a new compressor station near Squamish. The proposed Project is subject to review under British Columbia’s Environmental Assessment Act. On September 14, 2015, the Proponent submitted two addenda to supplement its application for an environmental assessment certificate. In response to comments received from the public, Aboriginal Groups and the working group, the Proponent suggests alternative design options meant to avoid surface disturbances in the Squamish Estuary and Skwelwil’em Wildlife Management Area, and to relocate the proposed compressor station outside of the urban setting in Squamish. The Environmental Assessment Office of British Columbia (EAO) invited the public to provide comments to the EAO on the two addenda. The comment period began on September 24, 2015, and ended on October 15, 2015. All comments received during this comment period were considered. To provide information to the public about the Application, and to recieve comments from the public, the Environmental Assessment Office of British Columbia (EAO) invited the public to attend an Open House in Squamish, B.C. on October 7, 2015. The intention of seeking public comments was to ensure that all potential effects –environmental, economic, social, heritage and health – that might result from the proposed Project were identified for consideration as part of the assessment process. Comments were accepted by online form, mail and fax until October 15, 2015.